Purple Twirl | The Excitement Begins!!! 27 Mar The Excitement Begins!!! Okay let’s get back on track. Yeah, so Ready Set Wed 3 is coming up soon!! On Sunday 24th of April to be precise, happening again at The Holiday Inn, Accra. I’m excited all over again just thinking about how fun last years was and all the really lovely people I met and how much even I learnt from some vendors about their services! eg. did you know that you’re meant to wash your makeup brushes AT LEAST once a week?? Maximum 2!! Yup, Valerie (Makeup artist – Contours by Valerie Lawson) taught me that. 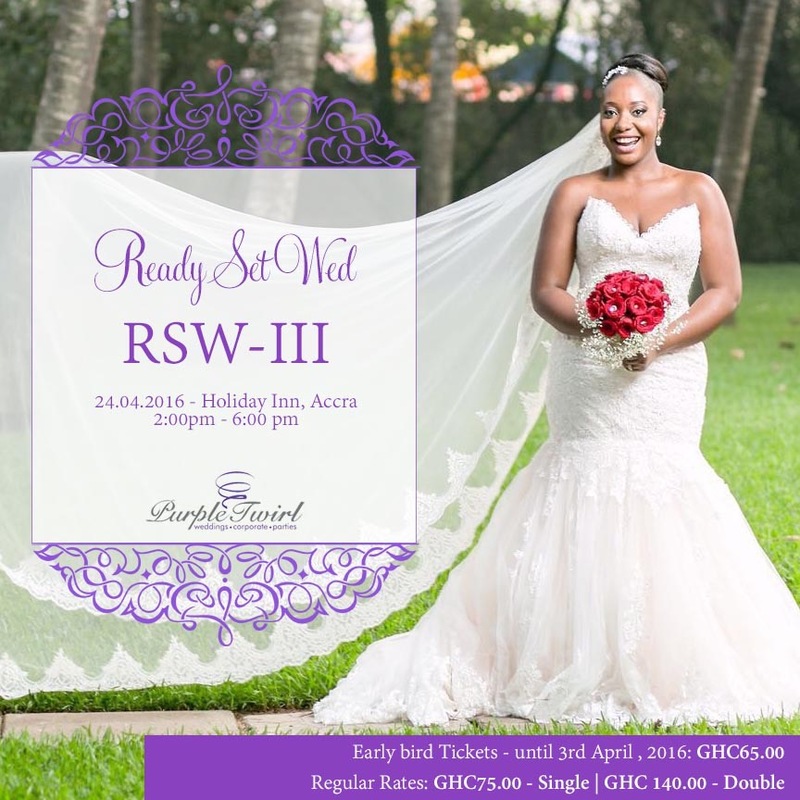 For those of you who do not know what RSW is about, it’s a wedding planning workshop for couples planning their wedding, with or without a wedding planner. The workshop served as a guide, answering all your what should I budget, where do I begin questions and so much more! Apart from getting a wedding planning guide book and the interactions, attendants will learn from various wedding vendors as well what to look out for, questions to ask and so on about their wedding service. 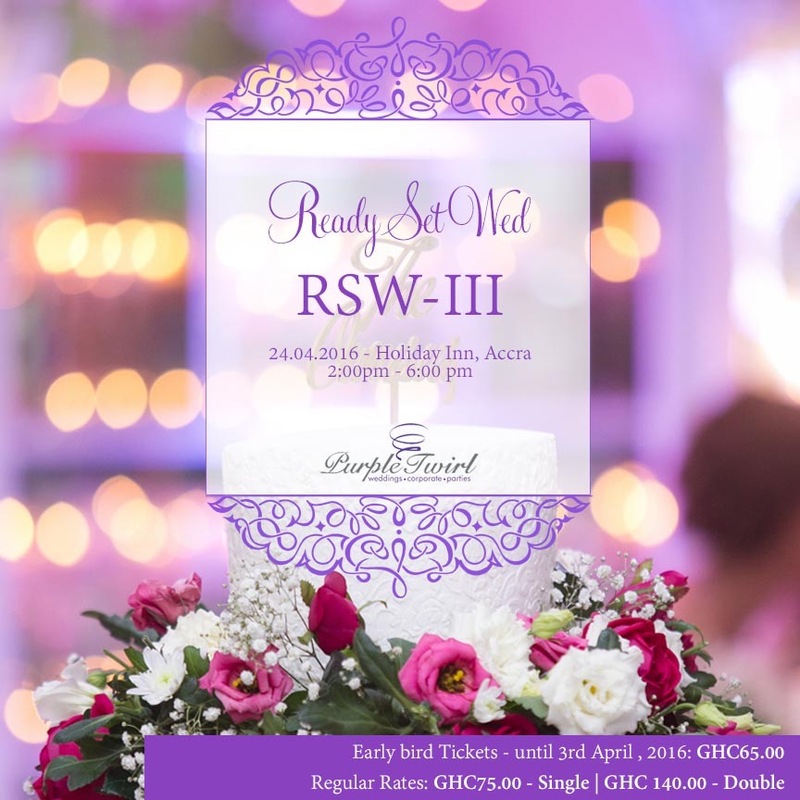 p.s., the gorgeous photos from these flyers are from two Purple Twirl Weddings shot by the talented “shutters” of Team 1000 words and designed by the creatives from Flair PR.